The Panasonic Lumix DMC-LX10 (LX15 in some markets) is a 20MP large-sensor compact with a bright F1.4-2.8 24-72mm equivalent zoom lens. Which is to say, it’s a very capable pocket camera. And, being a Panasonic, it has video specs and clever video-based features to back up its stills capabilities. Panasonic’s LX cameras have always had the enthusiast in mind, built around larger-than-average sensors with short but bright lenses and as many direct controls as can sensibly be fitted onto a pocketable camera body. 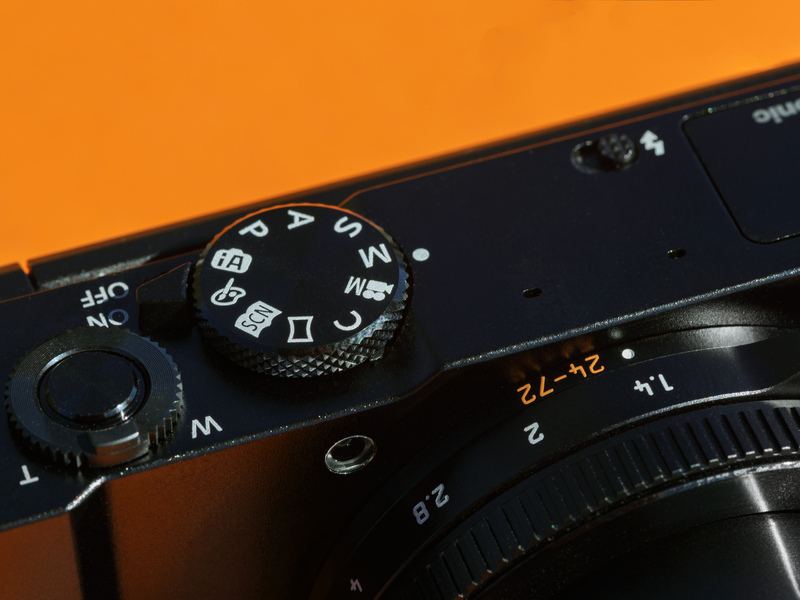 They helped reinvigorate the enthusiast compact sector and prompted a series of imitators before the much larger sensor of Sony’s RX100 rendered them irrelevant. The LX10 is Panasonic’s first direct response to the big-sensored Sonys. The company has already built an excellent series of compacts that address every other niche you can think of: the long zoom stills/video FZ1000 and FZ2500, a large sensor ZS100 version of their well respected travel zoom series, and a larger sensor photographer’s camera, the LX100. But the LX10 is a head-to-head competitor for Sony’s pocket wonders. The approach is a little different: unlike the RX100 III and IV, the LX10 doesn’t have a viewfinder. Instead, it offers a touchscreen interface and a screen that can be tilted upwards. In many respects, the LX10 is a logical post-1″ successor to the last of the smaller sensor models: the LX7. The camera also offers Panasonic’s 4K Photo mode, which offers a series of ways of specifying when the camera should capture a video clip from which stills can then be extracted. It also has Panasonic’s Post Focus mode that captures a video clip of the camera racking focus, so you can choose to grab the frame with optimal focus, after the fact. The LX10 means there are now three brands building small cameras with 1″-type sensors and short, bright zooms (and Nikon promising a comparable ‘DL’ model at some point). We’ve also included the LX10’s big brother, the LX100 in this comparison, just to show what you get if you have room to carry its additional size. **1080/120p video is only available in a dedicated high speed video mode, with limited control. Just as the specs suggest, the LX10’s lens is broadly similar to that of the Sony RX100 III and IV. It’s a little brighter at first but by 30mm equivalent, they’re both already down to F2.8 (F7.6 equiv). So although it should offer a similar performance to its big brother, the LX100, at wide angle, the bigger camera maintains an advantage across the rest of its zoom range.